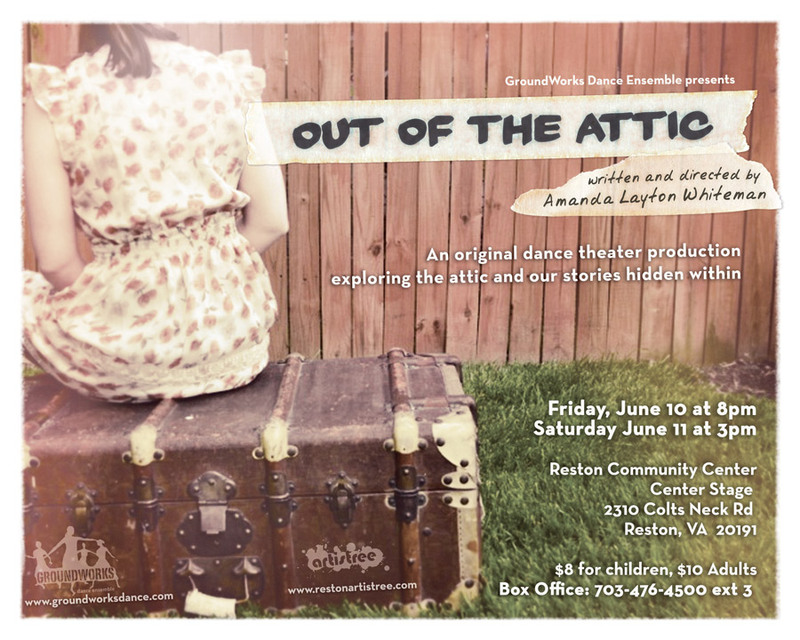 I would like to invite you to come see GroundWorks Dance Ensemble’s latest dance theater production, Out of the Attic. This show has special meaning, as we look to our family history as inspiration. We began our journey this year exploring family heirlooms, histories and ancestors. How does our past inform us about who we are today? Out of the Attic follows the many characters found in one family, as their stories are unlocked from inside the attic. 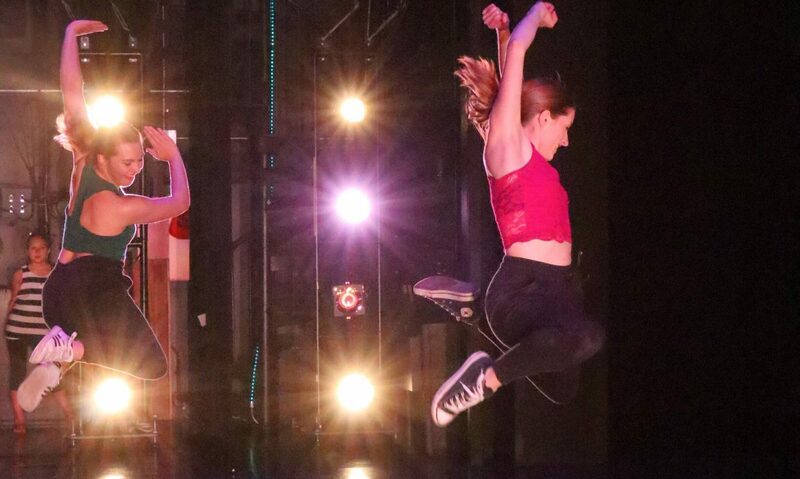 The show opens Friday, June 10th at 8pm, at the Reston Community Center’s CenterStage. There will also be an encore presentation Saturday, June 11th at 3pm. Tickets are $8 for children and $10 for adults. You can reach the Box Office by calling 703-476-5400, ext. 3.